A woman is protecting herself from the snow on Sully’s bridge in Paris. 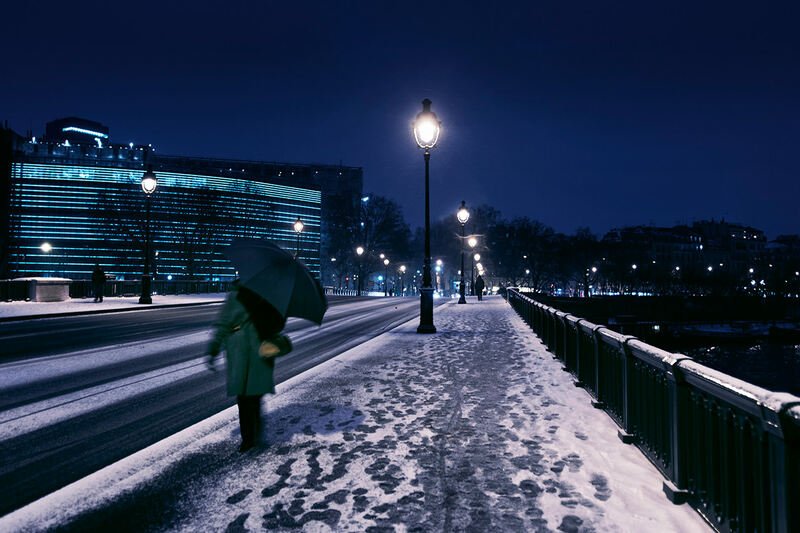 By a snowy evening in Paris, a woman crosses the Sully’s bridge with her umbrella protecting herself from the snow covering the parisian streets, close to the World Arab Institute. 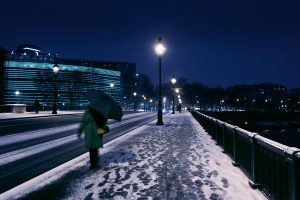 Un soir de neige à Paris, une femme traverse le pont de Sully avec son parapluie et se protège de la neige qui a déjà recouvert le parvis parisien, à proximité de l’Institut du Monde arabe dans le centre de Paris.